Hemp Seed is one of the most complete sources of vegetable nutrition known to man. It is a source of high quality protein containing all of the essential amino acids in nutritionally significant amounts. 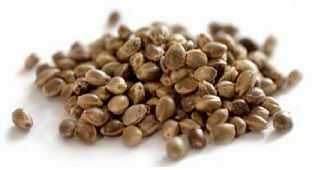 Hempseed oil is a rich source of Essential Fatty Acids (EFAs) - important for optimum health in the body. In the last hundred years we have learnt that minerals and vitamins are essential for our health - it is now considered that EFAs constitute the final part of the health triumvirate. Luckily Hemp has significant amounts of all three, not only that but the nutrition in Hemp comes in the most optimum ratio and also the most easily digestible format.